Yes, as the year comes to an end, we have one final set of Confessions to bring you before the New Year. This time we have all round good bloke, DC Worlds’ very own Paul Tickle confessing all about his love for all things DC. As ever, this is a great read and once more a pleasure to put together for your reading pleasure and my most sincere thanks go to Paul for taking the time to answer the questions put to him. 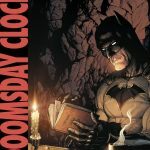 If anyone would like to take part, confess their DC sins in 2019, then please get in touch via Twitter @DC_ComicsGeek (myself) or the team @_DCWorld. Always great to hear from you all. JH: First of all, would you mind telling me a bit about yourself – name, age (if willing), where you’re from and what you do for a living, anything else you wish to mention? PT: I’m Paul, I’m 33 and I’m from Essex. I live with my Fiancé Nicola and our son Nathan. I work in the aerospace industry and have done for coming up to 8 years now. 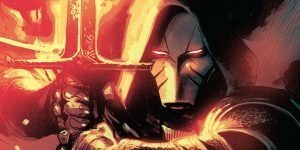 Also I am a writer for DC World! 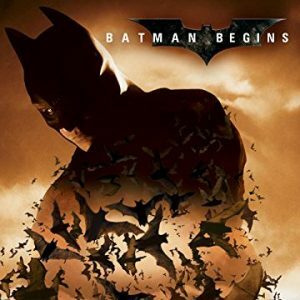 I’m pretty sure that it was Batman Begins that really got me in to the whole DC universe. I remember seeing it at the cinema and I loved every second of it. It’s often overlooked because of The Dark Knight being so good, but Batman Begins for me is easily the best comic book film origin story. Part of the film was filmed 10 minutes from where I live and me and Nicola went to see what was going on but we couldn’t get anywhere near it! It has to be Batman. It’s another obvious choice but he’s a legend… The Joker. 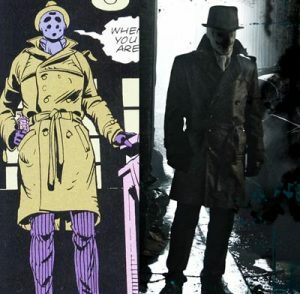 Rorschach from Watchmen is definitely a favourite of mine. 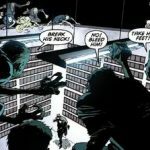 The way he’s written in the graphic novel and the film is just brilliant. He is the ultimate anti hero. I’ve got be honest, I don’t watch any of them. Every now and then I dip in and out of Gotham. I do enjoy it but it doesn’t seem to have that appeal to me that makes you need to watch the next episode straight away. 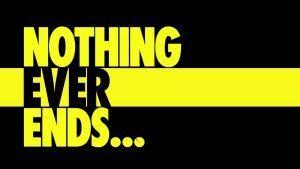 Ask me again sometime next year and I’m sure my answer will be HBO’s Watchmen series. The Dark Knight. I think DC will really have to do something unbelievable to top it. For me it’s as close to perfect as a comic book film can be. The writing, directing, acting everything about it is spot on. I of course can’t talk about The Dark Knight without mentioning Heath Ledger. 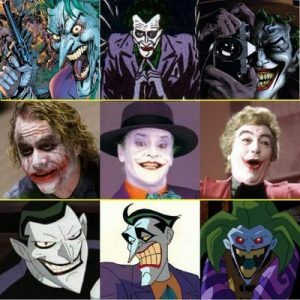 His take on the Joker stands out above all the others. It was simply a legendary performance that I don’t see ever being topped. 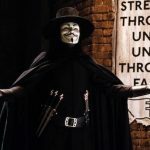 I have to give mentions to Watchmen and V for Vendetta too. I love both those films. 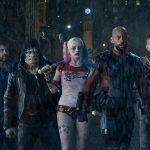 The current films in the DCEU are great, I really enjoy all of them especially Wonder Woman and Suicide Squad. 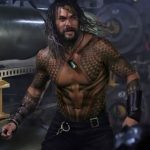 I watched Aquaman last week and loved that too. There are just too many to name! 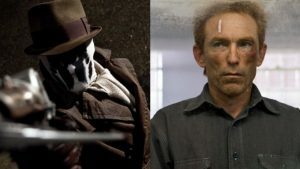 I love Jackie Earle Haley as Rorschach. He was a fan playing his favourite character so he really understood him and what the fans wanted to see in Rorschach. He was violent and gritty and exactly what we expected to see on the big screen. 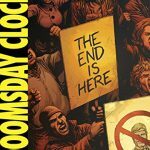 At the minute I’m reading the brilliant Doomsday Clock and I have made a start on Heroes in Crisis. 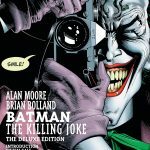 My favourite graphic novels are The Killing Joke and the Court of Owls series. 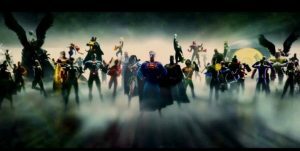 Controversial Q1) DC Television vs DC Movies – Where do you think we are getting the best DC content, tv or movies? Easily the movies. 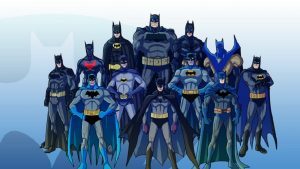 After a sluggish few years it seems like the DCEU is starting to come together really well. 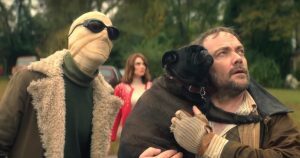 Aquaman is brilliant and with Shazam and Wonder Woman 84 to come the future is looking really positive. 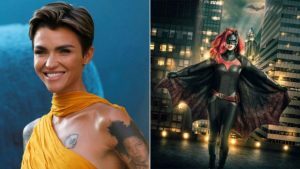 Controversial Q2) Ruby Rose had to leave Twitter after the amount of criticism she received after winning the role of Batwoman. Most of the criticism was because she “wasn’t gay enough”. 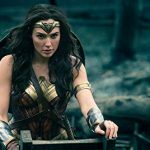 I know my thoughts on the whole thing (my feelings on Ruby Rose as Batwoman are known – perfect casting), but what are your thoughts on the comments she received and do you feel that social media firms have a duty to protect people (or do enough), no matter of who they are, from the sort of venomous comments that people often receive? The criticism that Ruby Rose received was just ridiculous. For her to get to the stage where she has to leave Twitter is just crazy. It has to be so difficult for the social media companies to police all that goes on across their sites but some of the things that get said, especially to some celebrities are just going way too far and the people saying them, hiding behind their keyboards would never have the guts to say it face to face. I will say this about Ruby Rose though, I don’t watch the CW shows but after seeing the shots of her as Batwoman I’ll definitely be giving the “elseworlds” episodes a go. In any industry when there are two main players there will always be a rivalry. I don’t have a problem with a friendly rivalry between DC and Marvel. Both companies put out great content across all platforms and long may that continue. I’d have to be a Superhero and I’d want to be able to fly! I’m not sure about the costume apart from I’d go nowhere near the spandex! I have a lot of DC t shirts and most of them feature Batman or The Joker on them. I have an awesome hoodie/jacket with the Bat logo across the chest which is way too worn now but I can’t get rid of it. 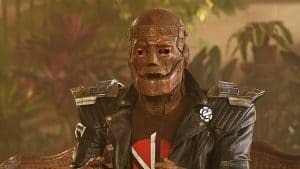 I try to get to both MCM London and LFCC each year. I love going to both but if I had to pick a favourite it would be LFCC. It’s huge and there’s always a great turn out. I don’t intentionally collect merchandise but over time I have picked up plenty of DC related books, figures, steelbooks, models and other things. My DC Funko Pop collection is getting a bit out of control. As before it is usually Batman and Joker but there are a few other characters showing up in the collection too. A few years back my fiancé got me the original V for Vendetta graphic novel and V’s mask set. I have always loved that. Nothing too rare but I do have a Doctor Maru Pop from Wonder Woman that can be pretty tough to find and a few other exclusives. Instead of one item we have a small room in our house that we have turned in to our “fandom cave”. Our huge DVD/BluRay collection is in there and all our film related memorabilia and collectables are in there. It’s the most important room in the house! I’m there for the merchandise and the people who are there to sell and promote their own work. I really enjoy going round all the artists and writers and talking to them about their work. I’m more than happy to pick up a pop or two as well. I’ve always had a problem with how much it can cost to get a photo with and meet some of the guests. I’m sure there are a few people that I would pay to meet but I would rather go to the talks and walk about taking everything in. No nothing to regret here. I would love to get a film replica Batman Cowl. Nothing too impossible because they are available. I would love to get the Rorschach Pop but it’s been vaulted by Funko and now goes for about £500 online. Cheeky question 1, but what is the most and least expensive/valuable item that you have purchased to add to your collection? Christmas is on the way, are there any DC Goodies that you hope to find in your stocking this year? 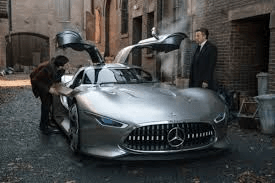 I’ve been a really good boy this year so I’ve got my fingers crossed for Bruce Wayne’s Mercedes! 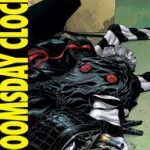 Finally, 2019 is around the corner, what are you most excited about in terms of the DC Universe, whether it be movies, comics, television or anything else? It’s definitely the movies. We are getting Shazam in April and the Todd Phillips Joker film in October next year. Plus I’m sure there will be trailers for Wonder Woman 84 and hopefully Birds of Prey towards the end of the year. I’m sure there will be confirmation on upcoming projects too. There’s a lot to look forward to! And that’s your lot for 2018, my thanks again to Paul for taking part in this latest edition and my thanks to all of those who have taken part since the segments’ conception. I really enjoy putting these articles together and have found everyone’s confessions such fun and joy to read and I hope that you all enjoy reading them to. These are all certified DC World, DC Geeks and I appreciate all the time they took to answer those questions. My thanks to all who read the articles and enjoy them, you all help the site thrive and its popularity is soaring. Finally, I would like to wish you all a Very Merry Christmas and all the best for 2019 where the DC Universe will give us so much cracking content in all media. Exciting times.